TLD Systems & Components, Inc. Thank you for visiting Rexon TLD Systems & Components, Incorporated! Rexon Components, Inc. is the second spin-off from The Harshaw Chemical Co., a pioneer in the development of inorganic scintillators in this country, and in the free world. Rexon was incorporated in 1983 in the State of Ohio. Its first place of operation was actually a “garage” in Doylestown, Ohio. Its present location is in the heart of Cleveland’s premier corporate suburb, Beachwood, Ohio. Occupying over 10,000 sq.ft. of owned facility at Beachwood, it provides the MOST COMPREHENSIVE line of scintillators, from THE ALKALI IODIDES [NaI(Tl), CsI(Tl),and others] to the RARE EARTH OXIDES including YAP, YAG, BGO, and from the PVT based plastic scintillators to higher stopping poweracrylic base PMMAplastic scintillation products. Rexon is the premier AFTER-MARKET SUPPLIER to the scintillation industry-servicing of ALL BRANDS of manufacture regardless of the vintage or country of origin. Rexon’s pioneering spirit for SERVICE encourages the customer to trade-in any failed, broken or otherwise scintillation detector assemblies for credit or cash! Alongside the dedication for repair and refurbishing of units, Rexon provides on an equal scale NEW MANUFACTURED SCINTILLATION ASSEMBLIES and CRYSTALS for OEM requirements, private label manufacturing and State-of-Art Units such as the record beating 51 mm diameter x 51 mm thick BGO exhibiting 9.2% FWHM energy resolution for 662 kev gamma excitation! In addition to the above, we also specialize in radiation detector, radiation badges, crystal scintillation, crystal scintillator and crystal scintillators, and many more practicalapplications. 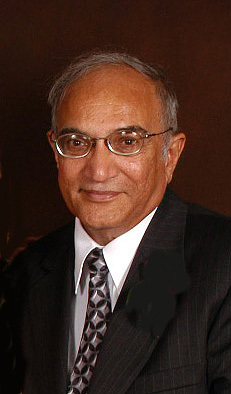 Dr. M. R. Farukhi, the founder of REXON, has served in various capacities at Harshaw ----Group Leader for Measurements (R/D), Director of Production Engineering, Marketing Engineer for Nuclear Detectors and finally as Manager - Nuclear Products and Systems. In addtion to working on Harshaw X-ray scintillator units, and Harshaw scintillator detectors, these are also available through our company. Several Publications authored by Dr. Farukhi now serve as references for the properties of Scintillators. Contact the factory or visit the website for a list of publications, notes and for requesting copies.